I’ve always been fascinated by development databases — more so sometimes than huge, heavily utilized production ones. Mainly because I’ve seen how the beginnings of a performance problem, or the start of an elegant solution takes shape within a development database. It’s one of the reasons why I love high levels of visibility through full DDL-auditing within development. I love to SEE what database developers are thinking, and how they are implementing their ideas using specific shapes of data structures. One of the concepts I’d love to see is a “river of news” panel within development tools to see what is going on within a development database. Some of the good distributed source code control systems do this now. 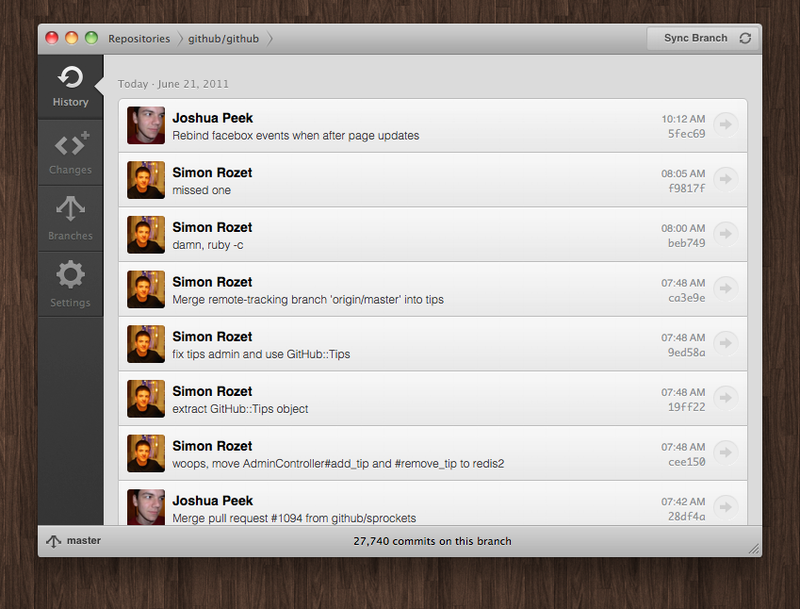 Not sure I like the ‘logged in’ alerts – too many. 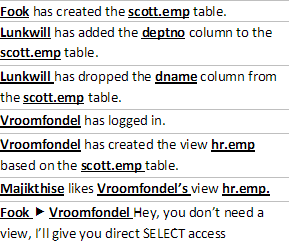 You should get badges for adding comments to columns and tables though. And earn a mayor-ship (mayoralty ?) for scheduling backups. This may be the only way to convince DBAs to login with their own user and not “/ as sysdba”. Cool! And an extra level for every 10th foreign keys, or flashing alerts for each new constraint.